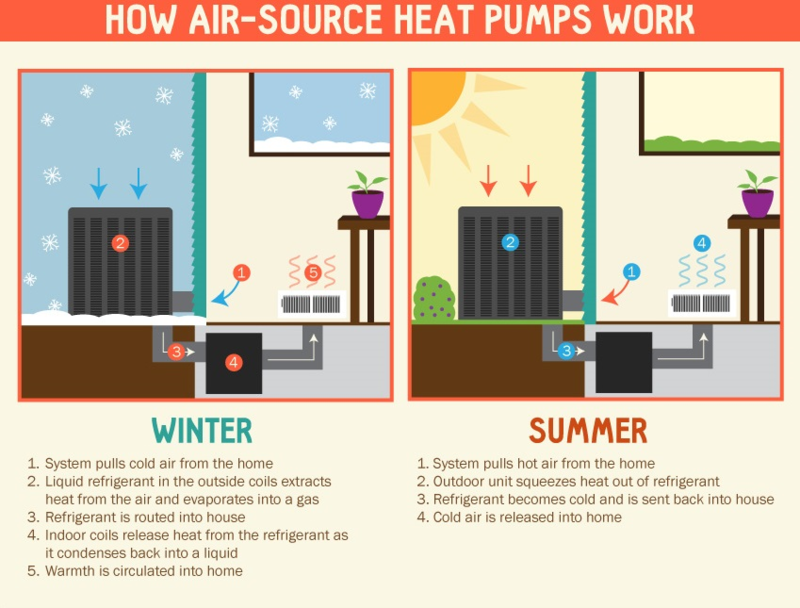 Heat pumps work to provide heating or cooling to the internal space. They employ a reversing valve to reverse the flow of refrigerant from the compressor through the condenser and evaporation coils. In cold weather, the outdoor unit intermittently runs in defrost. During the defrost cycle the system will use auxiliary heating elements in the air handler to be activated to provide heat to the home during the defrost cycle. Heat pumps are safer than systems based on combustion and are more cost effective compared to an oil or gas boiler. Heat pumps utilize an efficient conversion rate of energy to heat and they reduce the amount of carbon emissions. Interested in installing a new heat pump system? Or need more information? Call Bay Area Mechanical today 410-636-6400!